I created my card for the Hobby Home Card Contest. Hobby Home sent me this fabulous AccuCut die to work with. The moment I saw it, I knew a shaker card was in the works. I have been dying to create a tulle shaker card, thanks to the inspiration by Jennifer McGuire, and this die was the perfect opportunity. The banner stamp from the Little Dreamer stamp set was the perfect size to accent the card front. 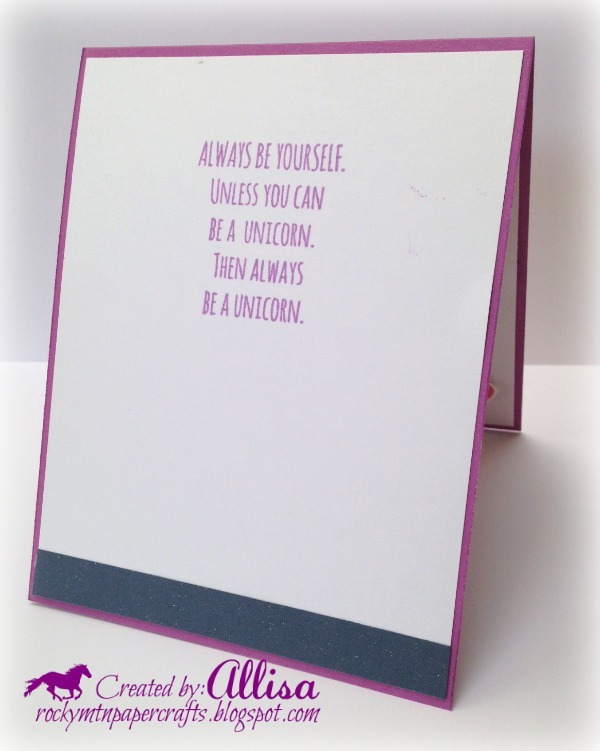 Unicorns seem to be all the rage right now.....and I so love the sentiments in the Little Dreamer stamp set. My favorite sentiment in the set was used on the inside of my card. There are lots of fabulous cards entered into the contest. Please take a moment to go vote for your favorite. 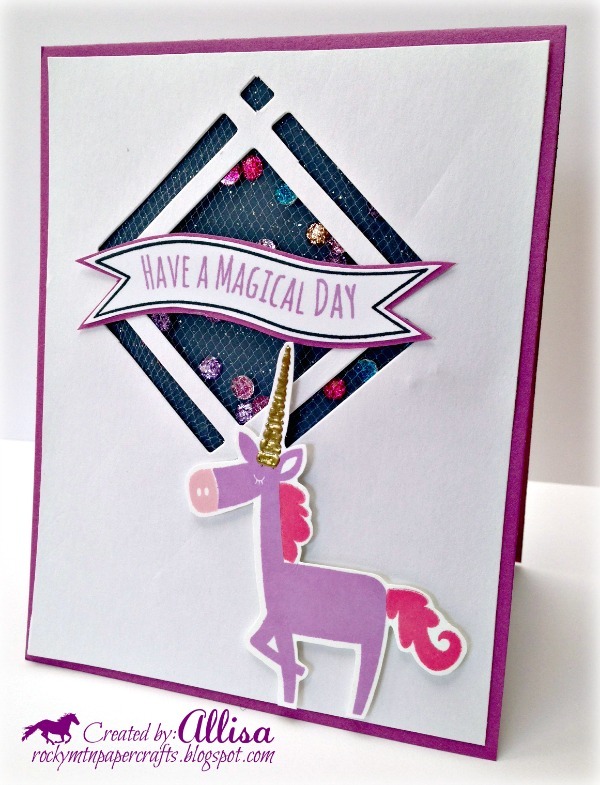 Beautiful shakercard Allisa, I love unicorns and the one on your card looks so sweet. LOL, I love that purple unicorn, Allisa! What a fun and happy shaker card. I'm delighted to see you playing along this month in our challenges at 2 Crafty Critter Crazies. We really do get inspired by everything we see from those who enter and support our challenges. Thank you. Good luck in the draw. A great, fun card - love the shaker part of it! Thanks for joining us at the Sparkles Challenge Blog - hope to see you again for our new challenge which starts tomorrow.